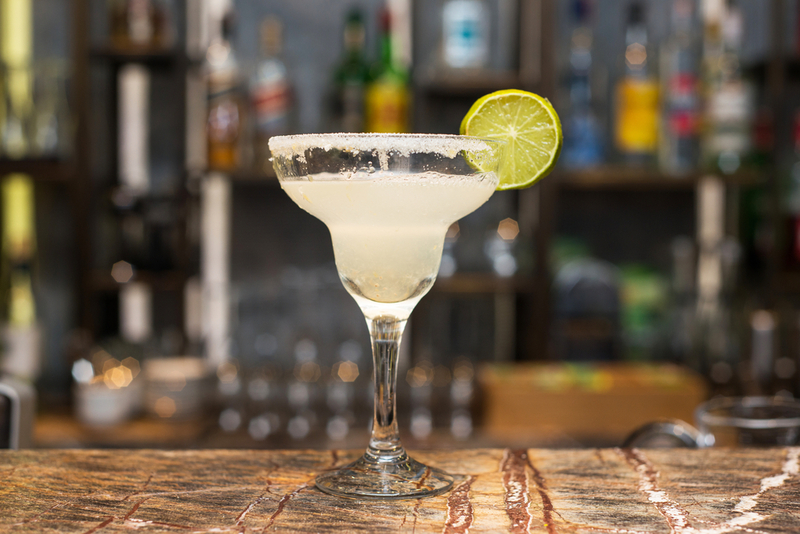 Celebrating Cinco de Mayo satisfies any South-of-the-Border craving, but why reserve the the best margaritas in NYC for just one day? 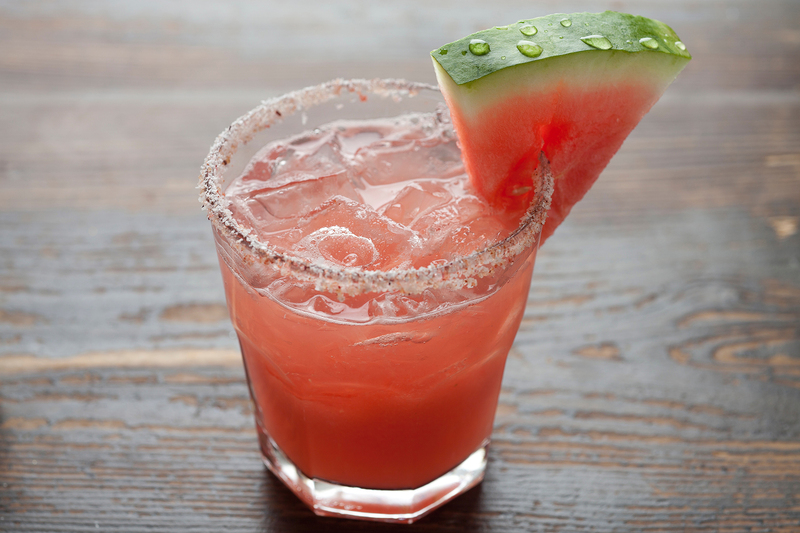 It's always time for tequila, especially when shaken up with a hit of spice or swirled with sweet watermelon. 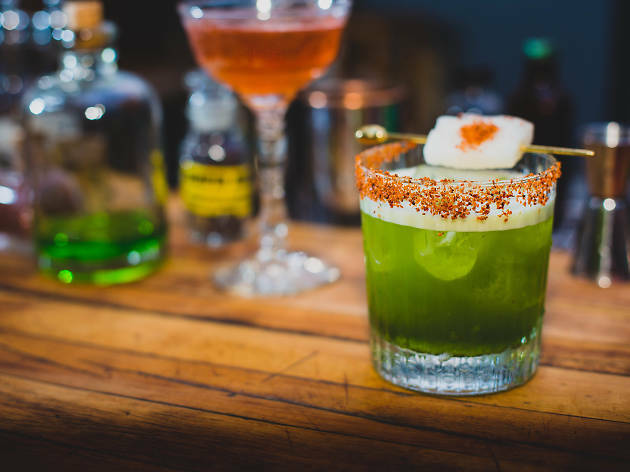 Spend some time at the city's best Mexican restaurants for some serious agave spirits, plus Gotham's best tacos. Fair warning, though: You're gonna want a pitcher. 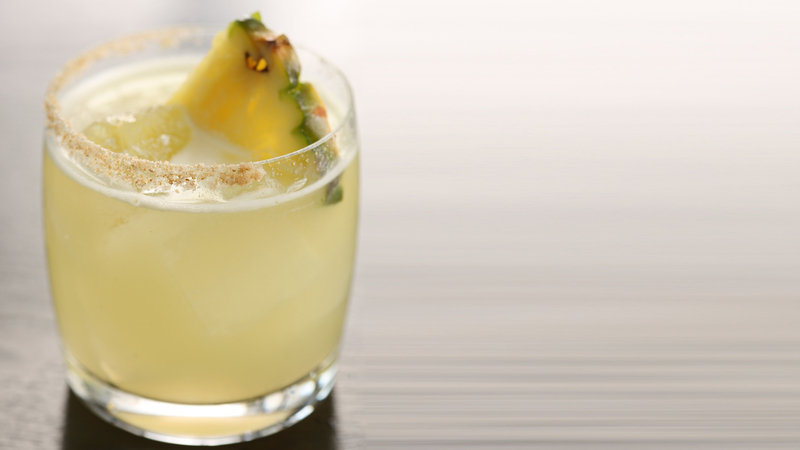 A slow and steady spice from house-infused jalapeño tequila gives this glass quite the kick, but lip-puckering lime makes it more fresh than fiery. 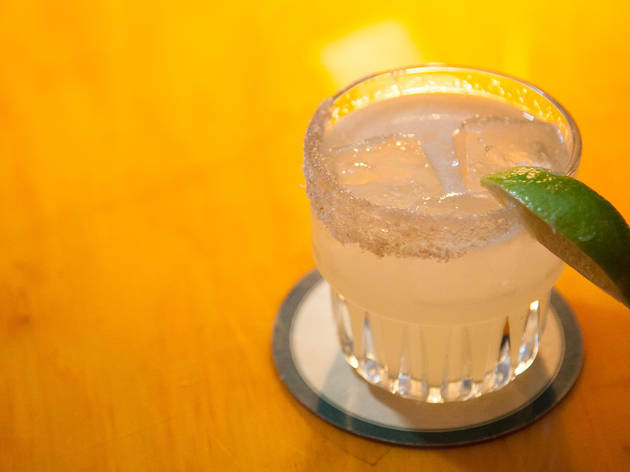 And though you'd think mescal was giving its agave cousin some help, that craveable smoldering comes courtesy of chipotle-speckled salt around the rim. 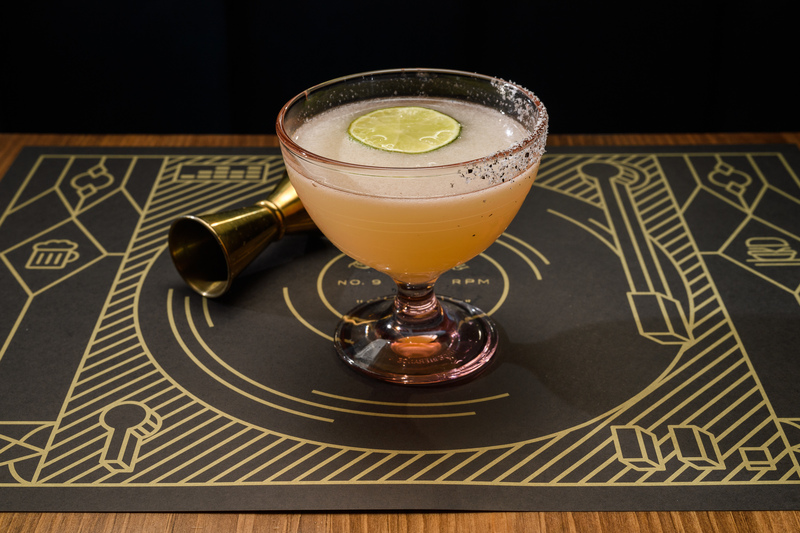 Drinks maven Lynnette Marrero (Rye House, Flatiron Lounge) doubles down on the booze in her 'rita rendition, shaking smoky mescal with blanco tequila and enough mint to give it a crisp, clean finish. And she doesn't skimp on the smoked salt around its edge: A double-wide dose on only one side is perfect for salt haters and lovers alike. 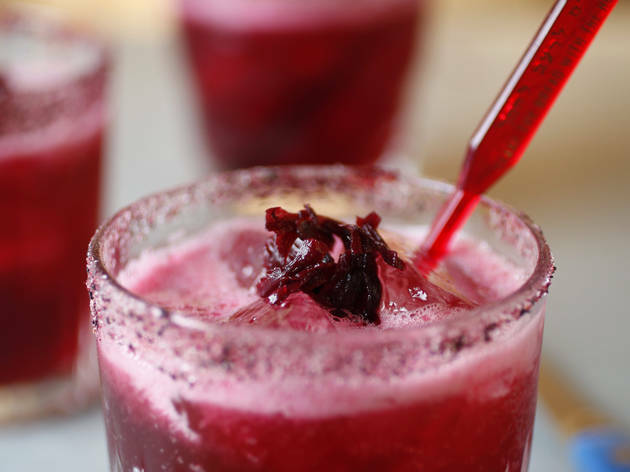 Hibiscus-tinged lime juice is a sweet-tart introduction to this quaff, but the surprisingly spicy rim of hibiscus-and-chili–flecked salt, (plus a generous pour of tequila) bring it to the big leagues: from fruity and floral to a true heavy hitter. 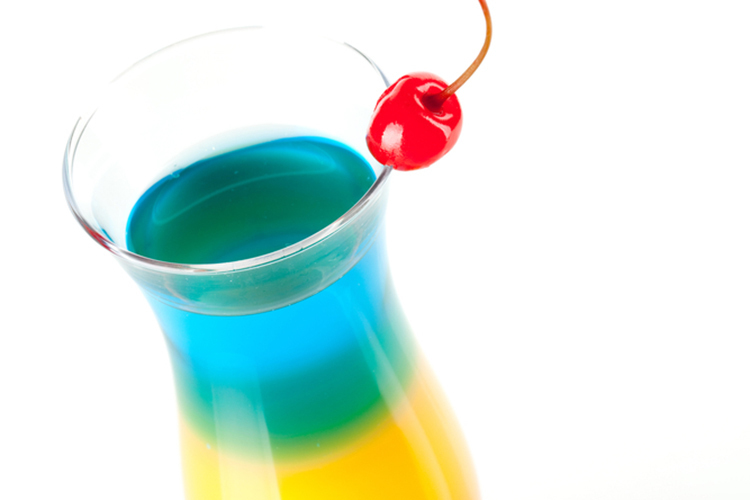 Trust us —order a second round for the fun flavor and the killer buzz. 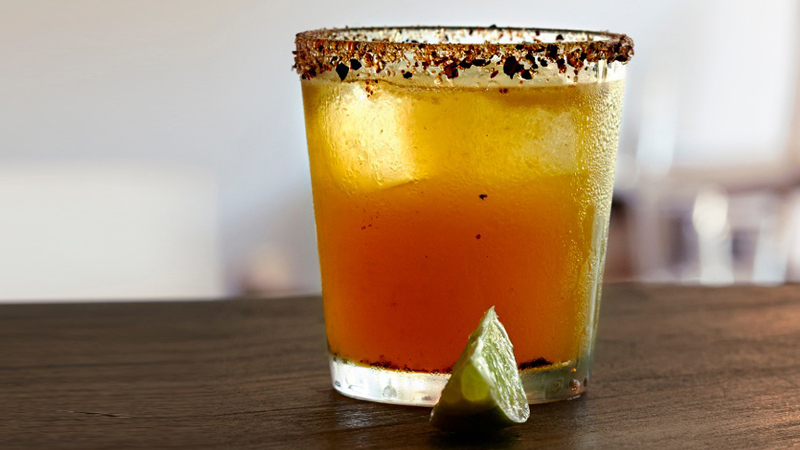 It’s all about the agave at Mesa Coyoacan, Williamsburg’s warm and rustic tribute to authentic Mexican food and drink. 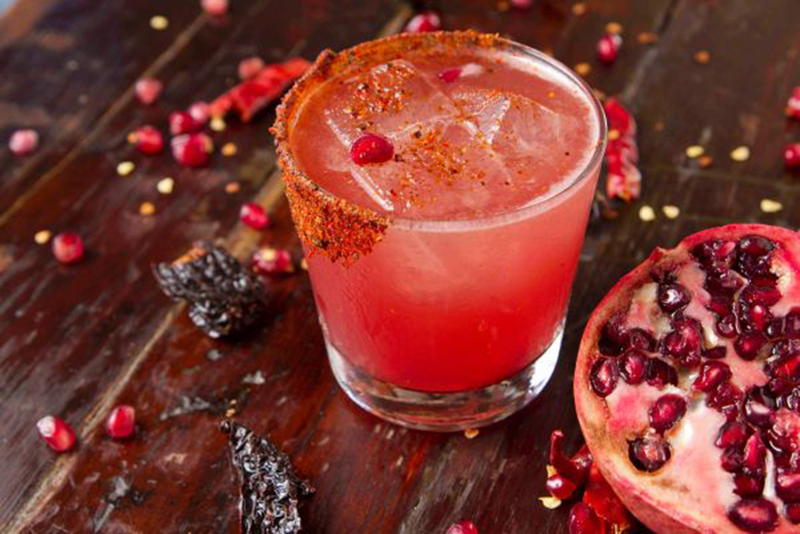 A loyal set of neighborhood hipsters and visiting Manhattanites flock to this sunlit Graham Avenue cantina to gorge on expertly prepared, overstuffed tacos and a huge selection of margaritas made with house-infused premium tequila, muddled fruits and fresh juices. 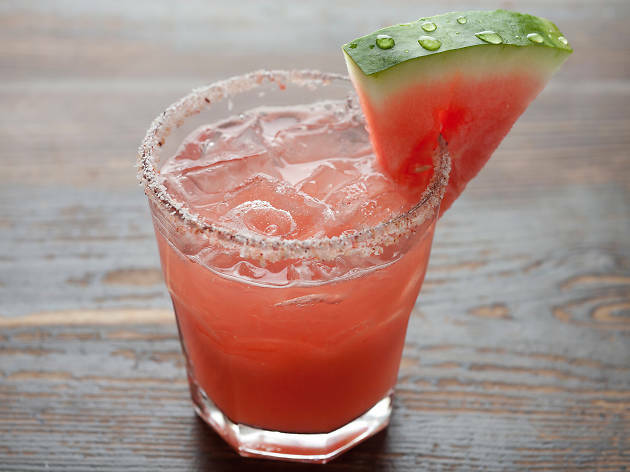 While the classic lime version is sure to do the trick, we recommend mixing things up a bit with Mesa Coyoacan’s bolder variations flavored with slow-burning grapefruit-habanero, lush and tart tamarind or unapologetically radiant watermelon. 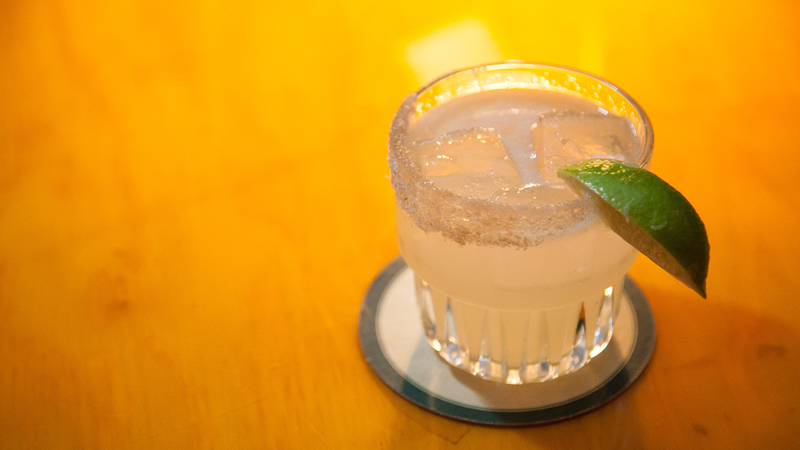 Living up to its name, this frothy, head-scratching marg breaks tradition and makes you ask, "Why not?" 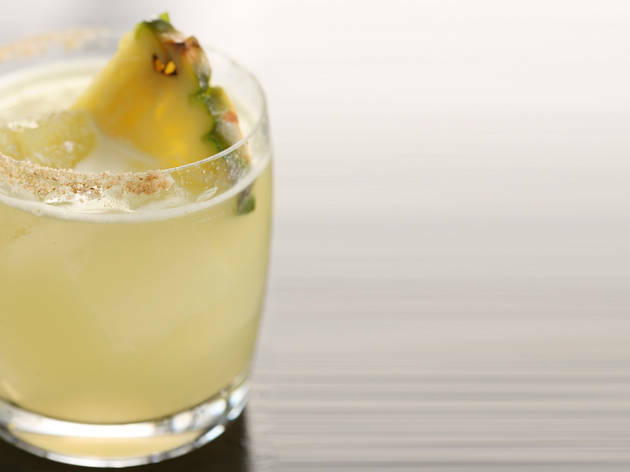 The serrano chili gets a little lost underneath a veil of punchy pineapple puree, but you'll welcome that heat-quelling quality once the savory, herbal cilantro comes into play. Dramatic light fixtures, towering gray cement walls and industrial furnishings create a sleek, almost-dystopian atmosphere at this trendy South Williamsburg restaurant. 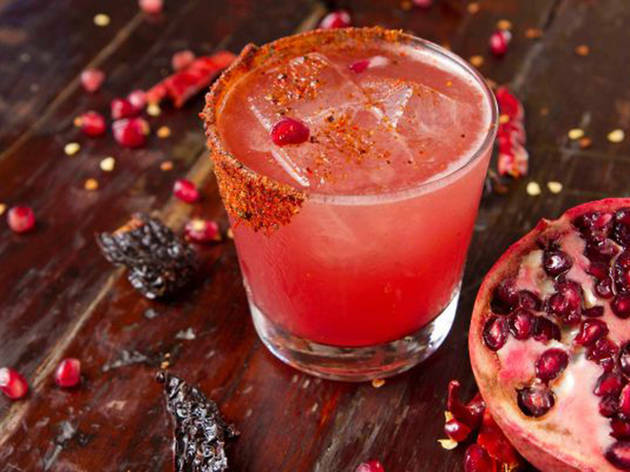 And the menu is not far behind in its ambitiously modern approach to Mexican flavors, Spanish tapas and defiantly modern cocktails. 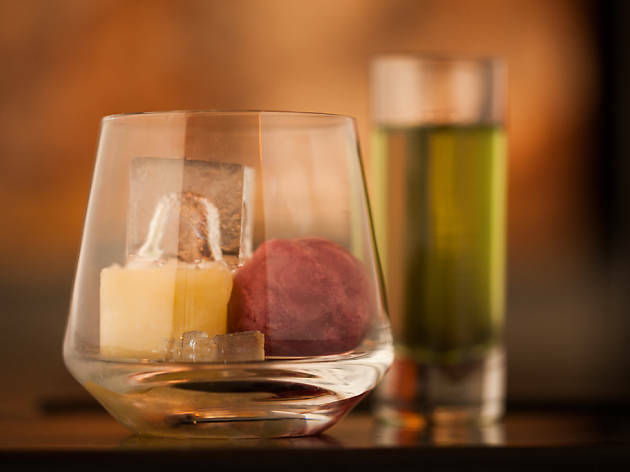 A prime example of chef Jason Marcus’ unique vision is the deconstructed margarita, which showcases house-infused tequila poured over ice cubes made from seasonal fruit juices, spices and herbs. Be sure to sip slowly for the full effect. Enrique Olvera, the megawatt Mexico City talent behind Pujol, made his stateside debut with this bare-concrete Flatiron dining room delivering elegant, high-gear small plates that are pristine, pricey and market-fresh. And, of course, the cocktails follow suit, including the mescal- and gin-laced El Ninja that balances tangy shiso shrub and sharp ginger with smooth fresh lime. 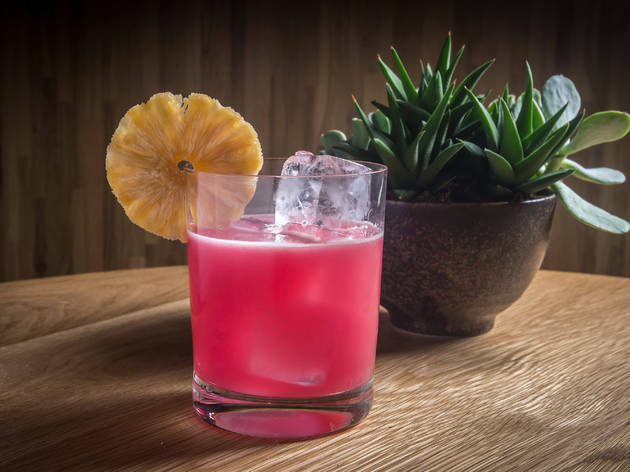 This gorgeously outfitted Midtown gem, hidden away in the basement of renowned Latin-Asian fusion joint Zengo, specializes in tequila—and lots of it. 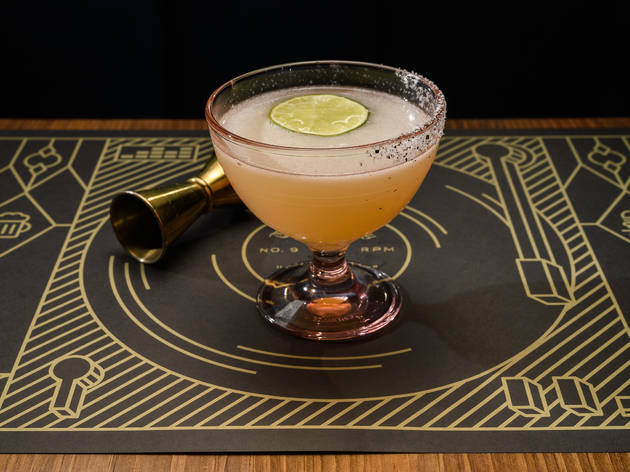 With 400 handpicked bottles and designated tequila sommelier to help guide your experience, students of the almighty agave have their work cut out for them at this liquor-fueled library. 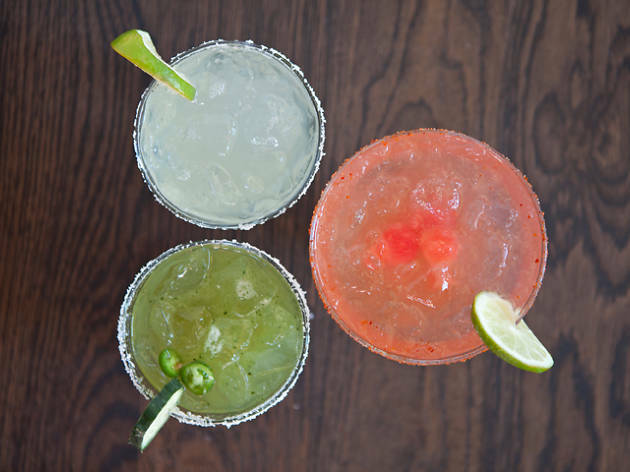 To start, try the house-recommended Zengo Margarita, a spicy-sweet blend of blood orange, fiery serrano peppers, and cooling cilantro. 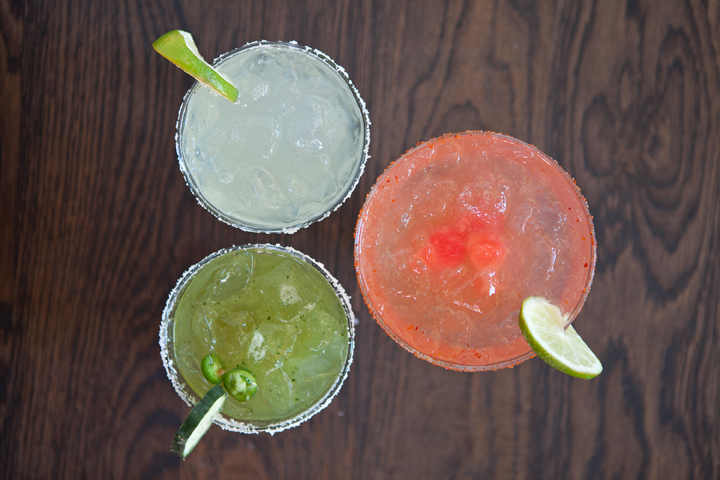 Once you're bottoms up, move on to one of the many tequila flights as your studies advance. Elaborate chandeliers, a brick-lined, blue-lit bar and 100 different types of tequila set the stage at Añejo, Top Chef fan favorite Angelo Sosa’s stylish Mexican outpost. 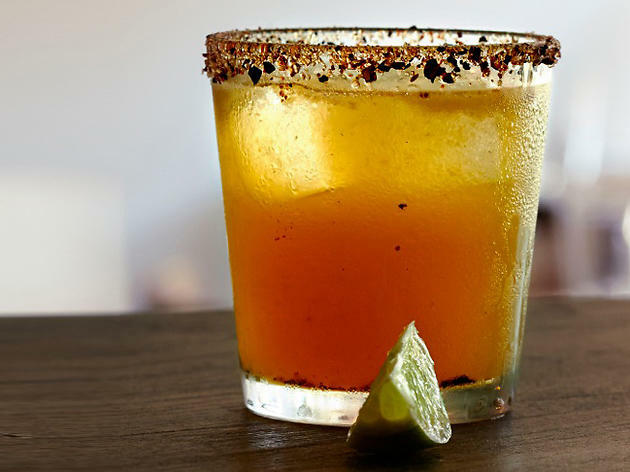 Adventurous imbibers would do well to sample the Mexican Firing Squad, an intoxicating blend of peppery Tapatio tequila, grenadine and fresh lime juice, finished with a spiced salt rim that acts like a fiesta for your taste buds. 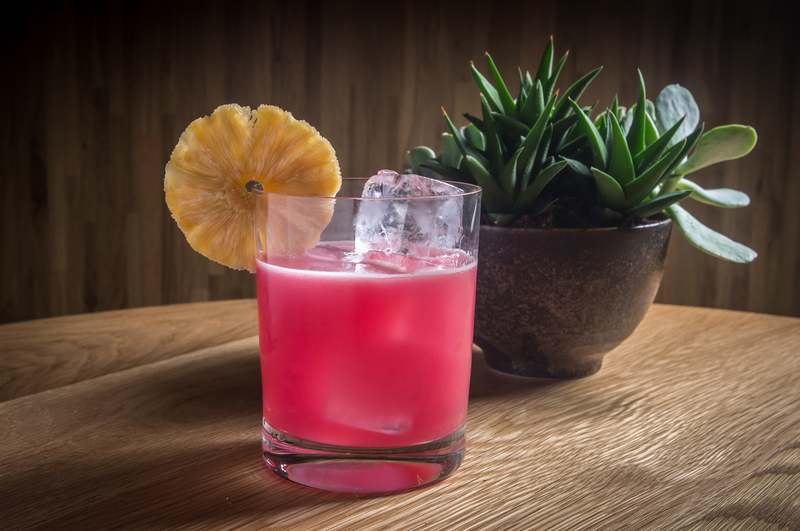 Don’t let the brutal name scare you away—this sipper is as refreshing as it is aggressive, making it an ideal companion to Añejo’s dangerously succulent short rib tacos. 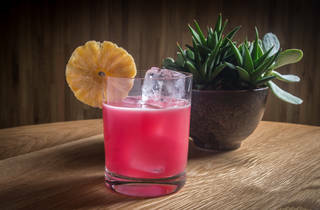 From palomas to pulque, this snug Lower East Side eatery’s cocktail game has always been distinctly on-point thanks to seasoned mixologist Alex Valencia (PDT, Apothéke, Little Branch). 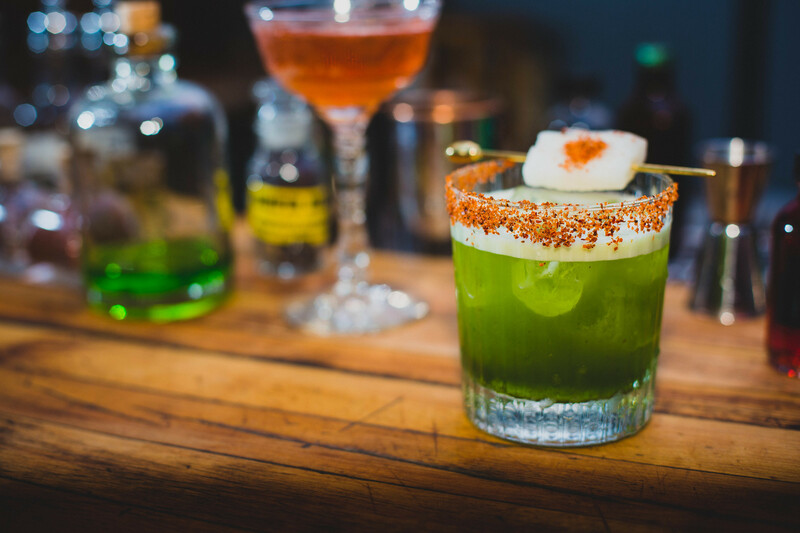 The Oaxaca Express in particular mixes smoky mescal with jalapeño-infused agave, fresh lime juice and touches of basil and cucumber for an easy-to-drink and superbly refreshing tipple able to hold its own against the menu’s more complex offerings. 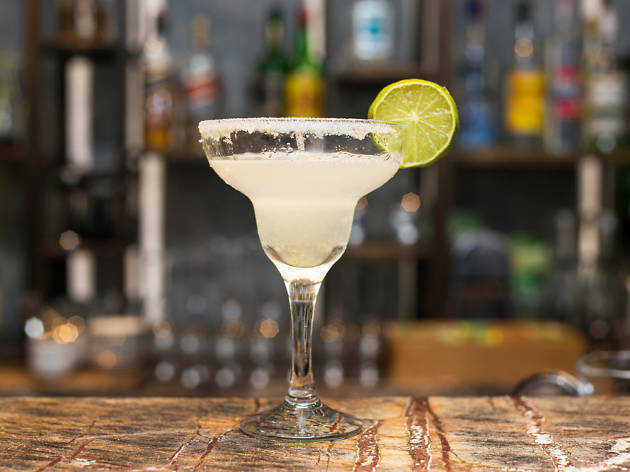 Whether you’re in the mood for light-and-frozen or sultry-and-on-the-rocks, this cozy, family-run Upper East Side storefront cantina is guaranteed to have a mind-blowing margarita with your name on it. 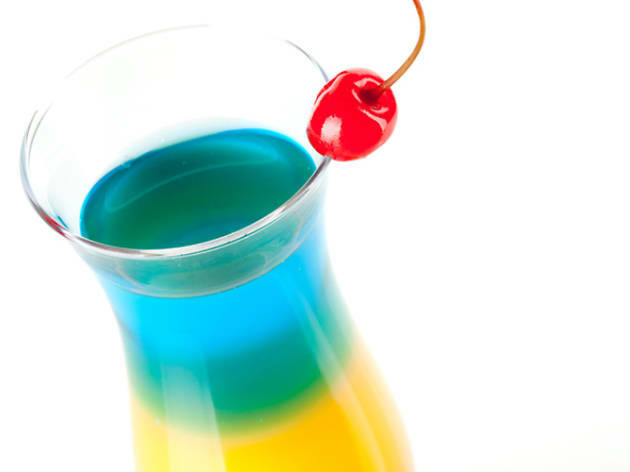 Fans of fruit should opt for the smile-inducing Rainbow Margarita, where smooth Don Julio Blanco tequila meets brightly colored swirls of strawberry, mango and blue curaçao in a nostalgic snow cone–like celebration of all things summer. Ask for yours topped with a flaming lime wedge for an extra kick you won’t regret. 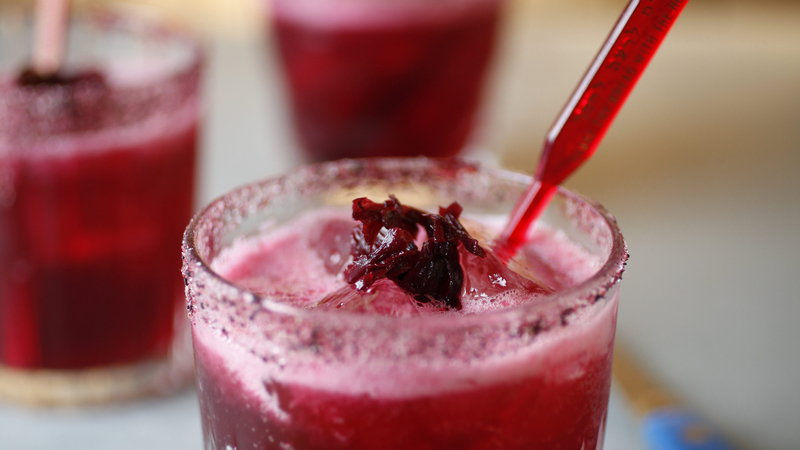 When it comes to margaritas, you can do so much better than pre-made neon mixes. Here’s how to craft the perfect one.